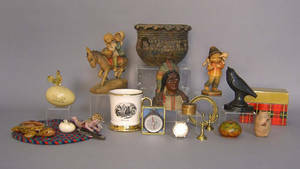 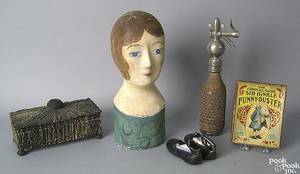 Archived auctions similar to Misc. 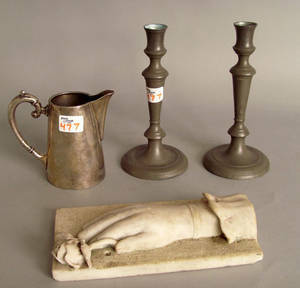 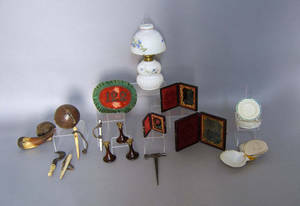 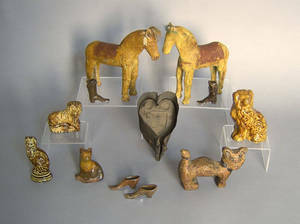 table articles to include a pair of Anglo Irish candlesticks. 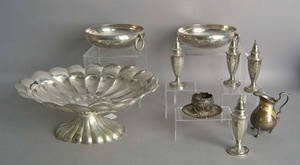 Group of weighted sterling silver table articles to include a pair of candelabra. 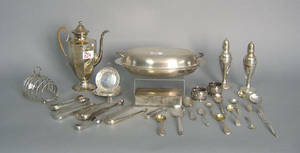 Group of silver and plated table articles to include a pair of early Sheffield wine caosters and 3 shakers.